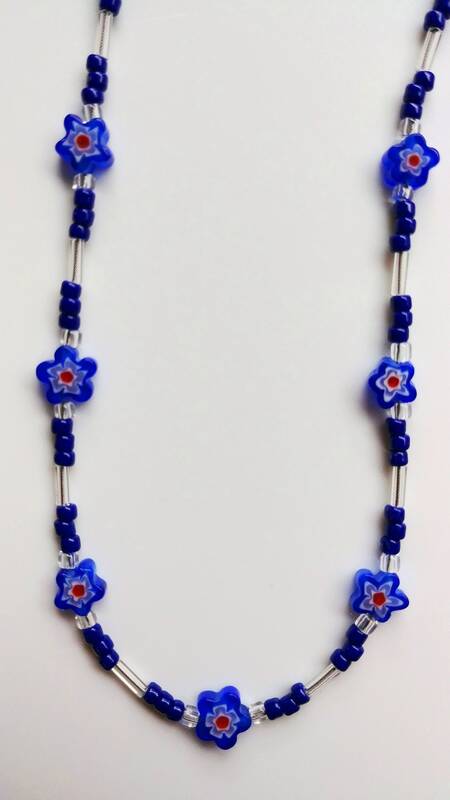 Tiny blue Millefiori beads will make you look like the star with this one! This eyeglass chain is fun to look at, light in weight, and a wonderful accessory so you don't misplace your glasses! Are you tired of putting away your glasses to keep them safe, only to need them again? 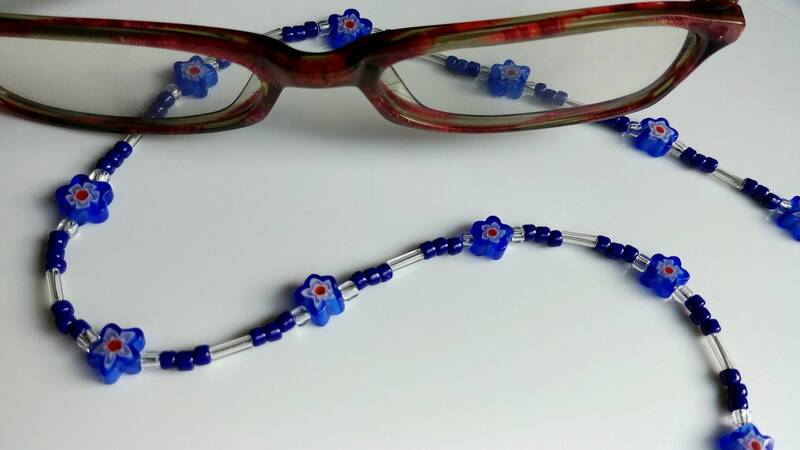 Why not try an eyeglass chain so you can always have your glasses at your fingertips! It is available with silver or gold colored eyeglass ends. 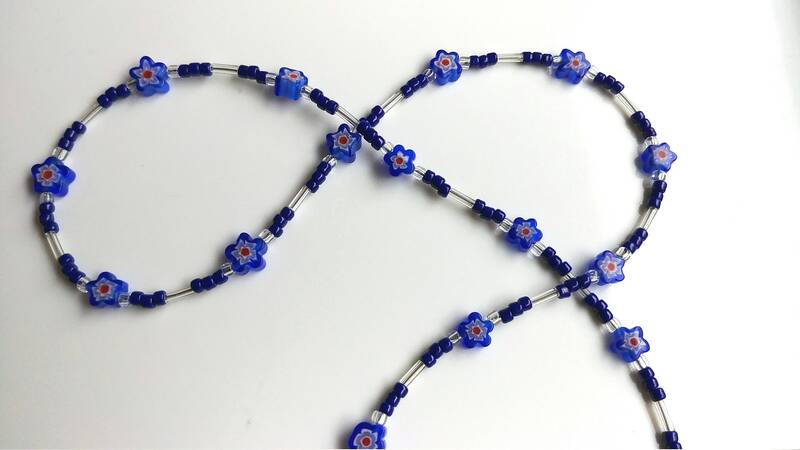 Star beads are approximately 7 mm. This chain is listed in two lengths, 30 inches or 25 inches. The shorter length is more suitable for a younger/shorter person. If you need a different length, please ask! Please note: This eyeglass chain has parts that may be a choking hazard for children. The eyeglass ends used are shown in last photo.